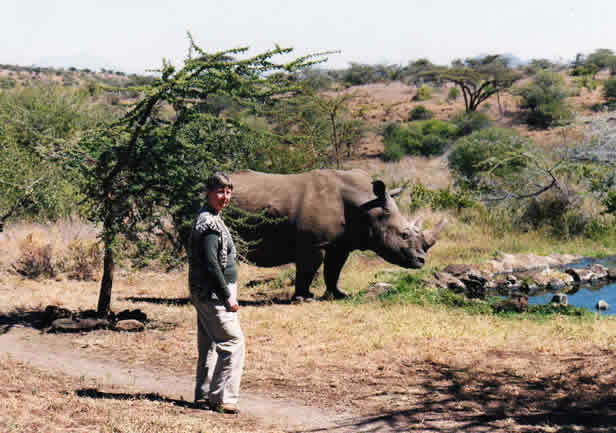 I have been presenting illustrated talks about Africa and the inspiration for my work for 10 years and in this time I have spoken to a variety of clubs, societies and organisations including Probus/ W.I. 's/ Art Clubs/ Ladies Groups and many more. The slide show lasts between 45minutes - 1 hour, discussing and illustrating some of the exciting and interesting events I have witnessed which inspire my work. 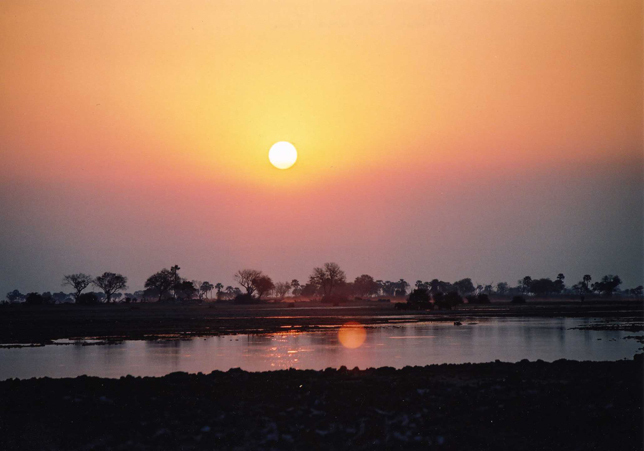 I also include slides of paintings that have resulted from these trips and the methods I use to achieve them. Finally I spend 5-10 minutes answering questions. I usually bring 1 or 2 originals with me and at the end of the Presentation I have a number of Limited Edition Prints for sale. 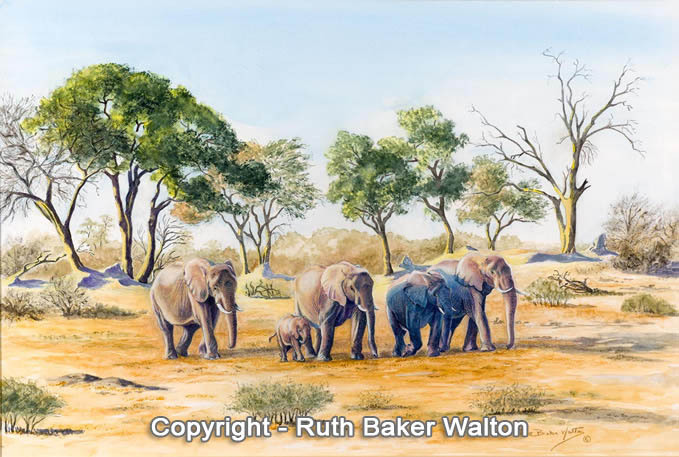 "The speaker, Ruth Baker Walton, showed us wonderful slides and paintings of Africa, which had been such an inspiration for her art, recalling the colours and patterns of the landscape and it's wildlife." 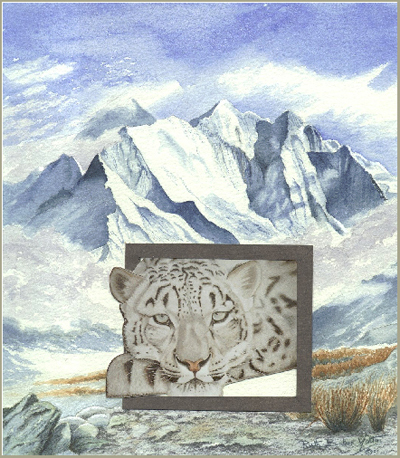 "A unique presentation of African wildlife by a most talented artist, accompanied by a dialogue giving a very personal view of travelling in Africa." 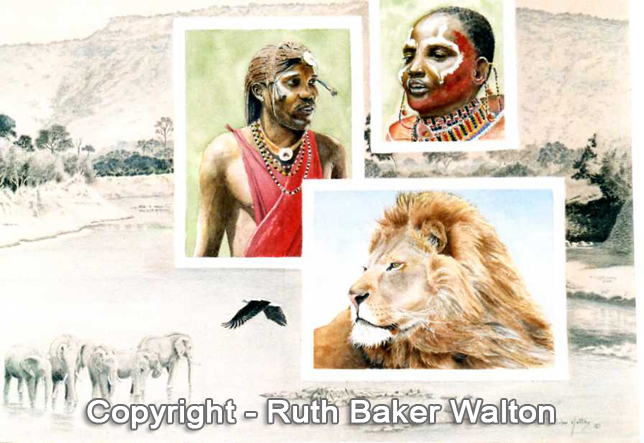 The Presentation "A Brush with Africa" travels through Kenya and begins with a brief history of how I became a wildlife artist and why I love to paint the birds and animals of that continent. 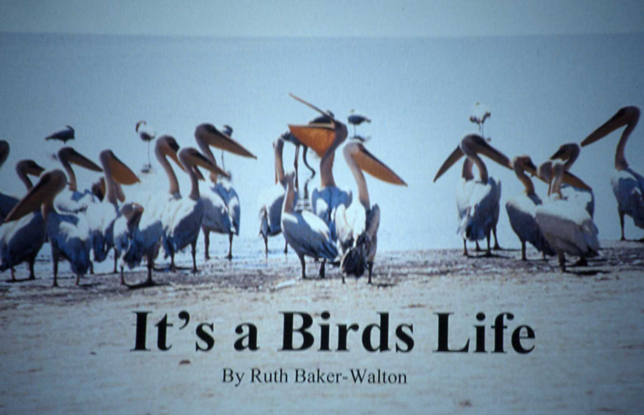 Illustrated talk showing the variety of Africa's birds from the Big, the Beautiful to the Bizarre. A journey through one of Africa's last remaining true wild places, a unique area of outstanding beauty. Exploring the world of Africa's predators from	the obvious to the unexpected. The beauty and drama of nature explored in verse. “The Inspiration behind the Art"
For enquiries or to book a talk please email me. 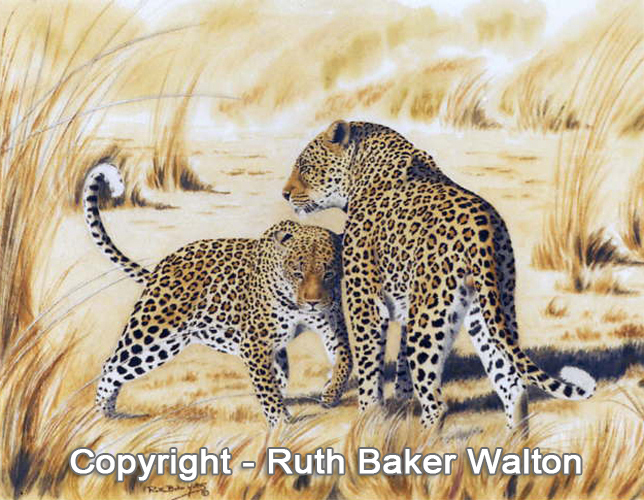 Ruth Baker Walton Fellow & former President of the Wildlife Art Society International.